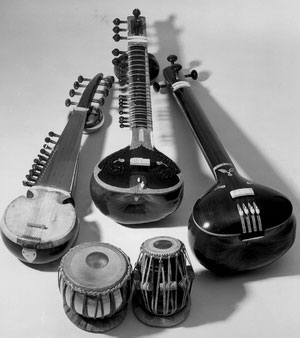 The Ali Akbar College imports instruments from some of the finest craftsmen in India, including sarods and tanpuras by Hemen & Sons of Calcutta. The Colleges’ tablas are also made in Calcutta, under the supervision of Pandit Swapan Chaudhuri. To order instruments please contact the College.